Eugene Napoleon is known for many things: he’s CEO and manager of Nap Vision Entertainment to music fans; he’s Mr. Napoleon to his students in Linden, New Jersey; he’s Keynote Speaker to thousands of people that have been motivated and mentored by him; but most West Virginians know him for being one of the best running backs in WVU history, the punishing runner behind Major Harris on their way to an undefeated regular season in 1988. It started in Jersey City, New Jersey. The youngest of seven children, Eugene was brought up by his mother to believe that he could be successful no matter the adversity he faced. Eugene has always been ultra-focused and, even at an early age, knew exactly what he wanted. As a child, he wanted to go to college, to play football, and his own company. He also wanted to give back somehow. His mother was always very supportive and came up with a blueprint to help make his dreams come true. His mother was his hero, but on the field Tony Dorsett was his role model. Despite being named to seven All-American teams out of high school and having every major college program knocking at his door, Eugene enrolled at Pittsburgh University, his dream school, to begin his collegiate career, following in the footsteps of Dorsett. From the beginning, Pitt did not feel right. He could not stay there and immediately started looking at other schools. When he arrived in Morgantown, WV, it just clicked, so he transferred to the team on the right side of the “Backyard Brawl.” Don Nehlen ran a football program that had old school values, character and morals in place. Eugene admired and wanted to be a part of Nehlen’s team. West Virginia opened its arms to him. In his upcoming documentary, “Inside the Jersey”, which will be released late March/early April 2019 on 11 major platforms (Apple TV, Roku, Verizon, Amazon Prime, XBOX, Xfinity, Pluto TV, VRV, Android, iOS and iTunes), he documents his time at WVU which really helped shape him as a human being. “This is my way of saying thank you to West Virginia University, to the people of West Virginia, to the whole fan base. They were rocking with me while I was there and they’re still rocking me with all these years later. My time at WVU was very special and so this documentary chronicling my years there is very important to me. I’m very passionate about letting people know how significant West Virginia has been to me. 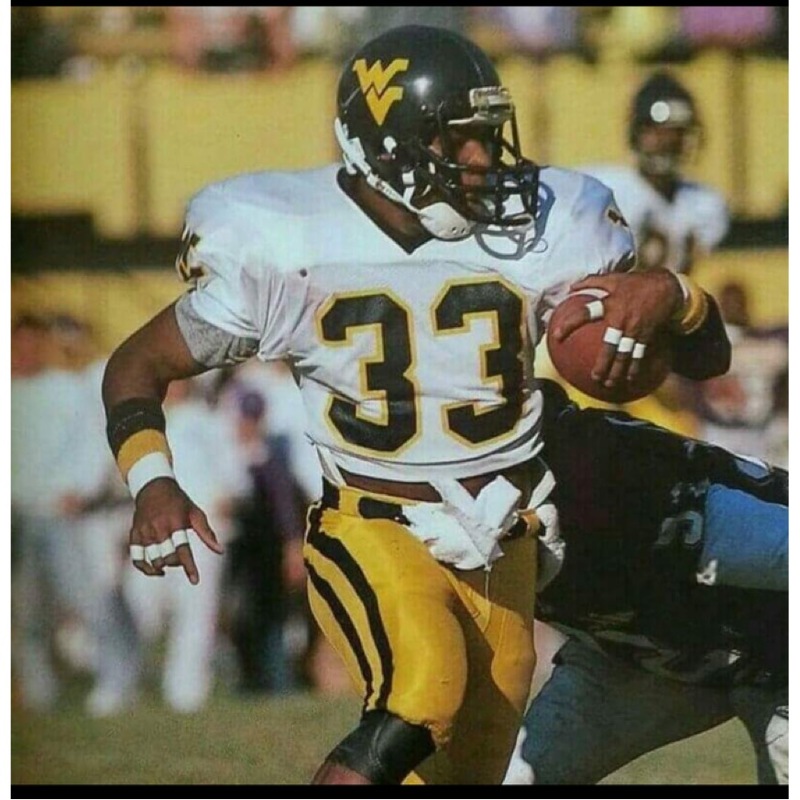 This is a look back on my time at WVU, how I got there, and all of the memories I made while there.” There will be a movie premiere in Morgantown, WV, “God willing”, on March 22nd. He manages his wife, Ny’a, who is a Gold selling recording artist and wrote the title song for his documentary. “The song is about the great state of West Virginia. It’s a great song and I’m really excited about it. Every word in this song is about West Virginia, my home away from home. The song will be released on my birthday, this Sunday February 17th, and will available on all digital outlets (iTunes, Apple Music, Spotify, Pandora, Deezer, Napster, iHeartRadio, Amazon, Google Play and Tidal). 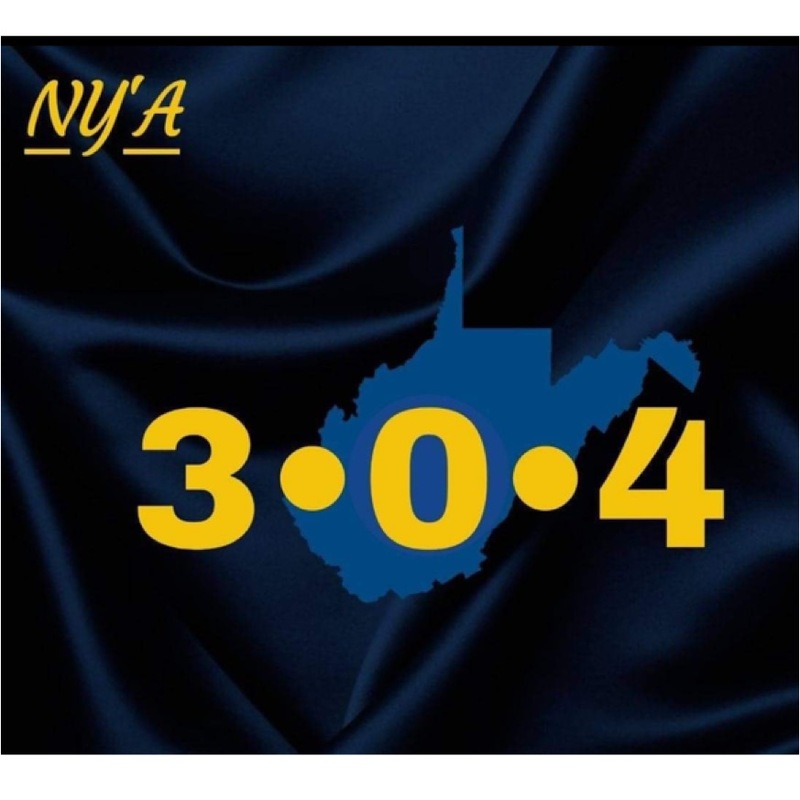 The key is, 304 is about the state of West Virginia and that’s why it means a great deal to me. Anyone that graduated from West Virginia, that grew up in the state of West Virginia, this song is about you. You will love this song because it’s about you.” On his birthday, the greatest gift West Virginia fans could give him would be to spend 99 cents to purchase the song. Eugene Napoleon loves West Virginia. He is still a diehard fan of the Mountaineers and visits Morgantown as often as possible. He stays in touch with Major Harris, Don Nehlen, Reggie Rembert, and many of his former teammates. He’s particularly fond of new WVU Head Football Coach Neal Brown. “He has a strong foundation of faith, character, morals, values, and he’s going to run a good program. He’s going to hire coaches and recruit players with the same value system.” According to Eugene, “you win with character.” Has Neal Brown reached out to him?